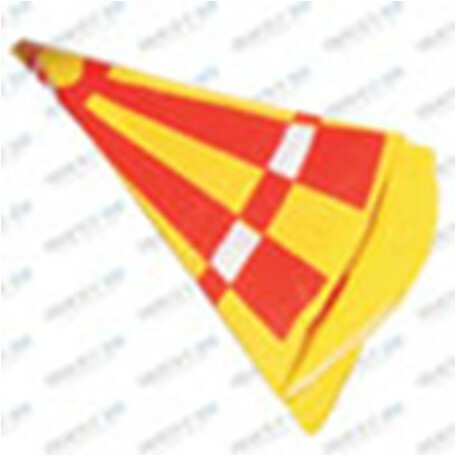 The Quest model rocket parachute is a bright yellow and red landing parachute emblazoned with the Quest logo, and is 35 cms (14") in diameter. The kit includes comes with 6 reinforcing rings for the shroud line attachment points, and 3 pre-cut shroud lines. Tip: To extend the life of your model rocket parachute: lightly wrap the parachute in a single sheet of recovery wadding to protect against the hot gasses produced on ejection.